Mark Wahlberg Replaces Ryan Gosling in "The Lovely Bones"
One day before shooting began, Mark Wahlberg stepped in to replace Ryan Gosling in "The Lovely Bones," the Peter Jackson-directed adaptation of the Alice Sebold novel for DreamWorks. Wahlberg has taken the role of Jack Salmon, the grieving father of a young girl. That role was vacated Friday by "Lars and the Real Girl" star Ryan Gosling, who stepped out after gaining 20 pounds and growing a beard for the job. Sources attributed the exit to creative differences. After reading the script, Wahlberg quickly committed Sunday. He joins Rachel Weisz as a couple whose world is shattered after their daughter is murdered. The girl watches over her family and her killer from heaven. Jackson wrote the script with Fran Walsh and Philippa Boyens. 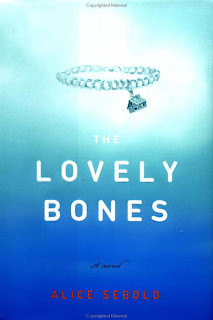 Bye-Bye: A strong source tells us that things blew up badly with in The Lovely Bones, the Peter Jackson-directed film based on the Alice Sebold novel. Recall that in May, DreamWorks prevailed in a bidding war by offering a very rich deal to make this film, which tells the story of a child who is raped and murdered. Gosling is out in the role of the child's father, and Mark Wahlberg slid in over the weekend just hours before shooting was set to begin. 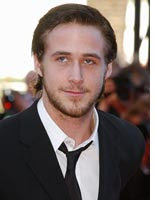 And apparently, the break with Gosling may lead to litigation, though it's still unclear what the fight was about. Sure seems that DreamWorks has been hitting a few speed bumps lately. The first movie under its own label was The Heartbreak Kid. Things We Lost in the Fire got incinerated over the weekend, opening to $1.6 million. And Kite Runner has been delayed because it put its child stars in danger in Afghanistan. Schadenfreude, Mr. Grey? This would also seem like worrisome timing for Gosling, who got an Oscar nomination for his role in Half Nelson and is getting a fair bit of praise for Lars and the Real Girl. If he's managed to tick off Peter Jackson and DreamWorks honcho Steven Spielberg simultaneously, that could not be considered a good career move. Hearing of trouble on The Lovely Bones makes me nervous. It's a difficult enough book to film, but with such a sudden major cast shakeup, there could be problems. Especially if the film is overshadowed by litigation. Alice Sebold's novel is a complete masterpiece, and I would hate to see this ruined. The book had already brought me to tears 3 times before page 100...Jackson's film has a lot to live up to.